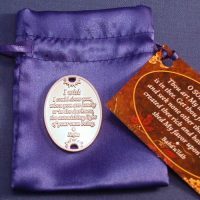 This unique medallion is a reminder of both of these promises - that He is with us, and that if we have faith, we will receive power and blessings. 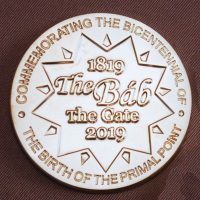 These beautiful Baha'i medallions with a satin silver finish will be treasured mementos of the Bicentenary of the Birth of the Bab. Each coin contains the complete text of the short healing prayer divided between the two sides. 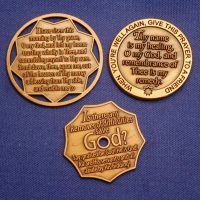 Two of the most powerful prayers for assistance on one easy-to-carry metal coin - The Remover of Difficulties prayer by The Bab, and "He who puts his trust in God..." prayer by Baha'u'llah. 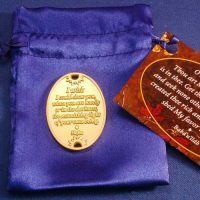 You Are Loved Gold Medallion - for Those You Love "I wish I could show you when you are lonely or in darkness the astonishing light of your own being." You Are Loved Silver Medallion - for Those You Love "I wish I could show you when you are lonely or in darkness the astonishing light of your own being."